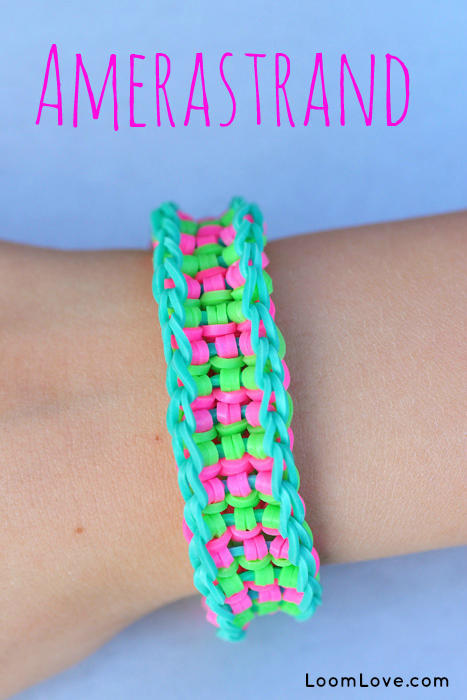 We love OfficiallyLoomed’s brand new Amerastrand bracelet. The bracelet looks like we added Perler beads, we it’s simply the way the bands are placed that make it appear like it includes beads. 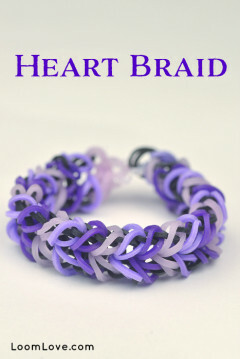 This bracelet is made on the Monster Tail. ← Have a Tinkerbell Tea Party! This looks really cool! Only problem is that I don’t have a monster tail, but if you found this on a board that would be great! The boy said he would upload a rainbow loom video spoon. 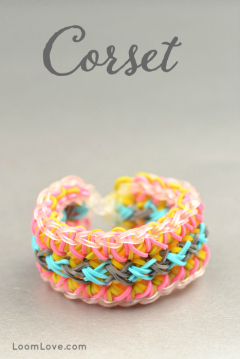 I made this bracelet on the wonder loom you can’t adjust that loom it stays in the offset position. 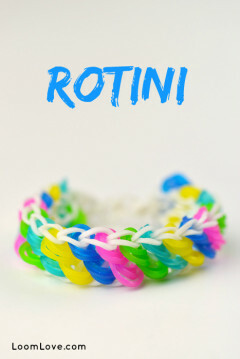 So I’m sure you make it on the rainbow loom, you can probably make it without setting it up differently then the normal offset position. 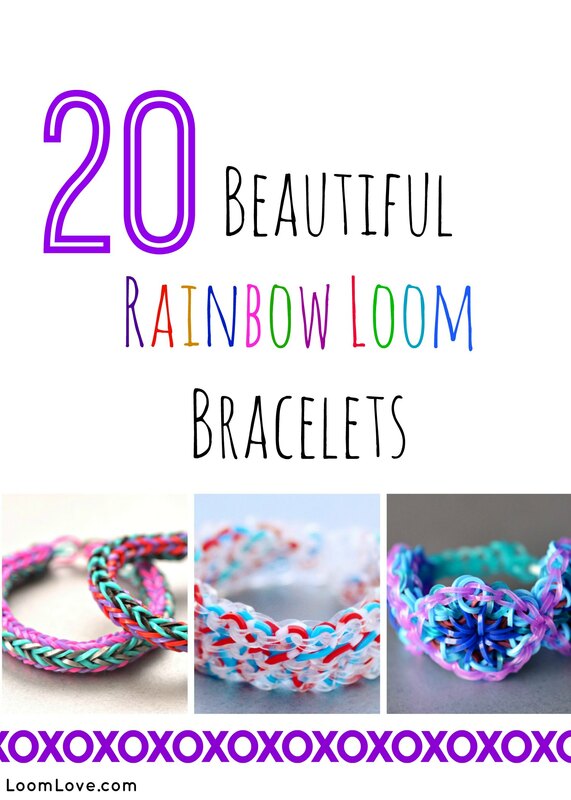 Can I make it on a regular rainbow loom? Guys it’s kinda hard to set up the rainbow loom like the monster tail. Unfortunately you can’t make one row face up and the row under it down, and you can’t make two pegs face opposite sides. 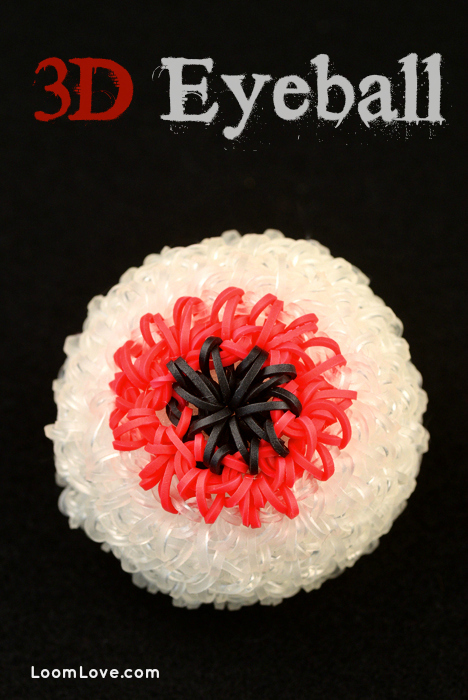 But, if you want to know how to set up your rainbow loom for the monster tail designs, watch CraftLife’s tutorial for the Lip Balm Case (which is on this site). She explains how. 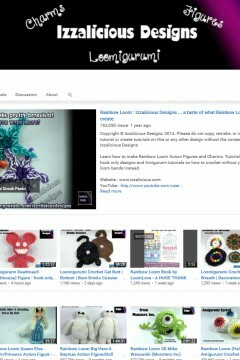 You can find a video with a rainbow loom on the youtube channel’s “LoomLove”. Fantastic! Can you make hello kitty charm? This is super cool! I figured out how to do it on my loom. One more thing. 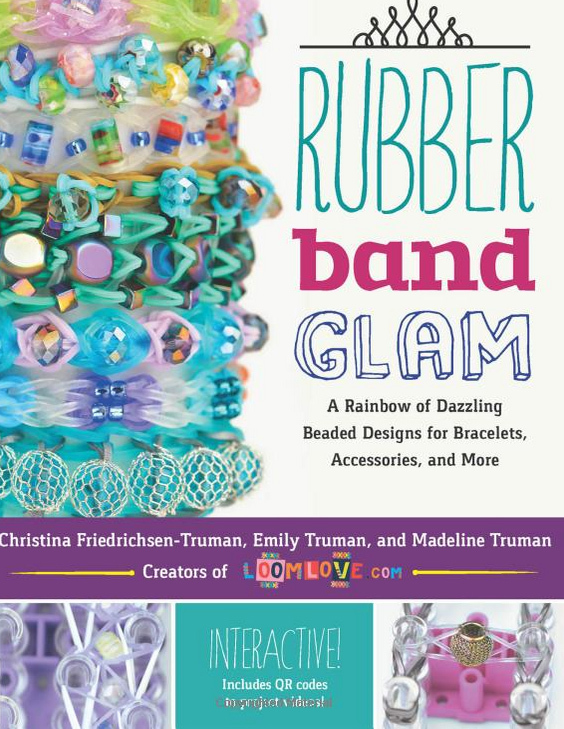 In the description it says, “learn how to make a rainbow loom…” instead of monster tail. I love this! Maybe it’s just because of the “Amera” in the name, but it would look great with red and blue bands for the middle and white for the border. 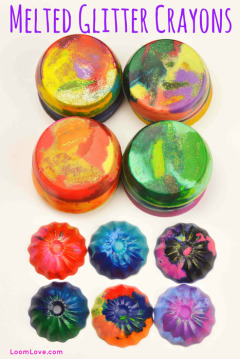 If I had those colors, I’d make it for the Fourth of July. Wow!! This is so easy. 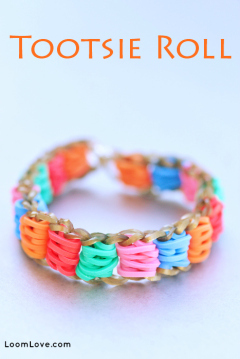 LoomLove you are my main bracelet website! I Just got a Monster Tail today, and I’m loving it! I strongly recommend the Monster Tail. 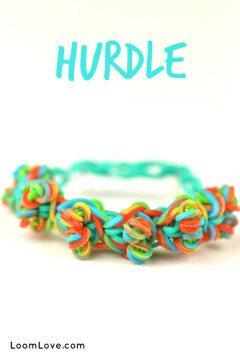 It is perfect for on the go bracelets! Cool, but I dont have the Monster Tail yet, I am so sad because I just love the bracelet, but I cant do it, Emily and Maddie could you please figure out the way to make this awesome bracelet without the Monstertail, Only with the Rainbow Loom, I will appreciate it so much, And I will be so happy, and other thing is that could you please make the bouncy ball on the Rainbow Loom to, The LoomLove fans will love the bracelet and ball without the Monster Tail. 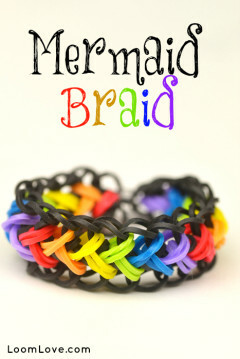 BRIANNA you can also make it on a rainbow loom. isn’t this just the loch ness monster bracelet? 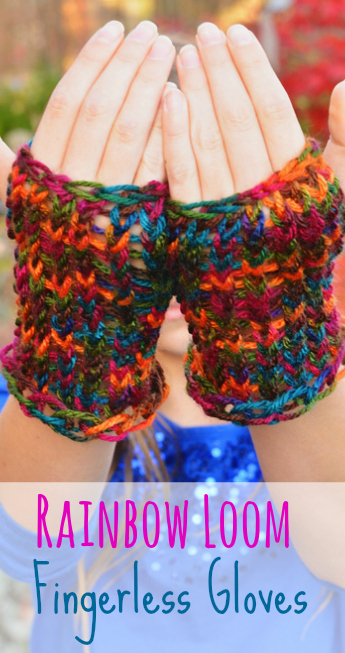 I made one of these for myself with neon orange bands for the border and neon yellow and dark green for the inside and it came out amazing but the problem was…. It was WAY too big for me, so I couldn’t wear it and I was really disappointed and I’ve had it for 3 months now, but when I was showing all my bracelets to my dad, he saw my Amerastrand and tried it on, and it fit him perfectly! So I gave it to him, and he loves it and I’ve made lots more for him. 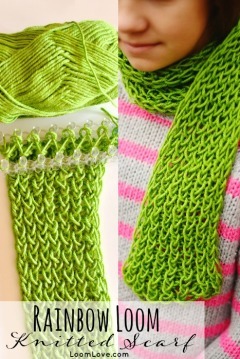 THIS IS ALSO MY BEST SELLER! i am just lovin it !!!!! soo coool! 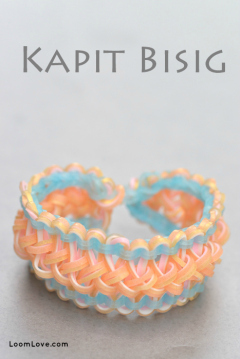 i made it on ranibow loom! We its just the way the bands are placed? OMG!I don’t have the monster tail yet): I so want it!